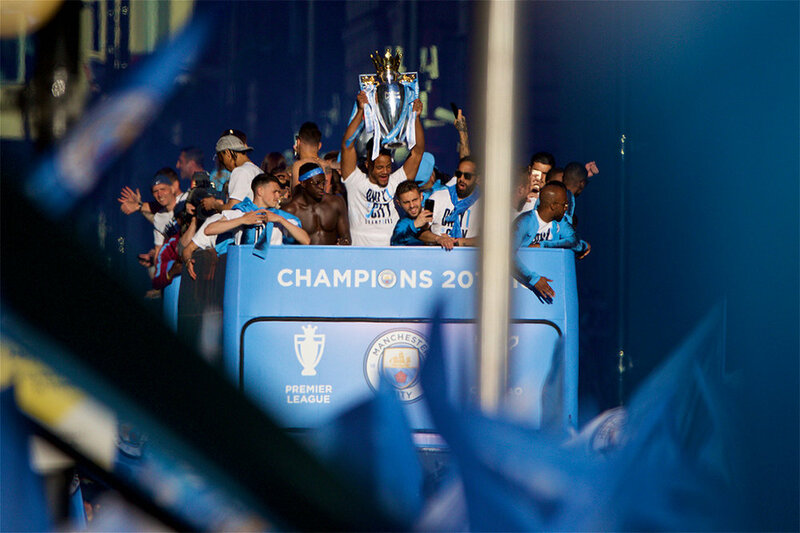 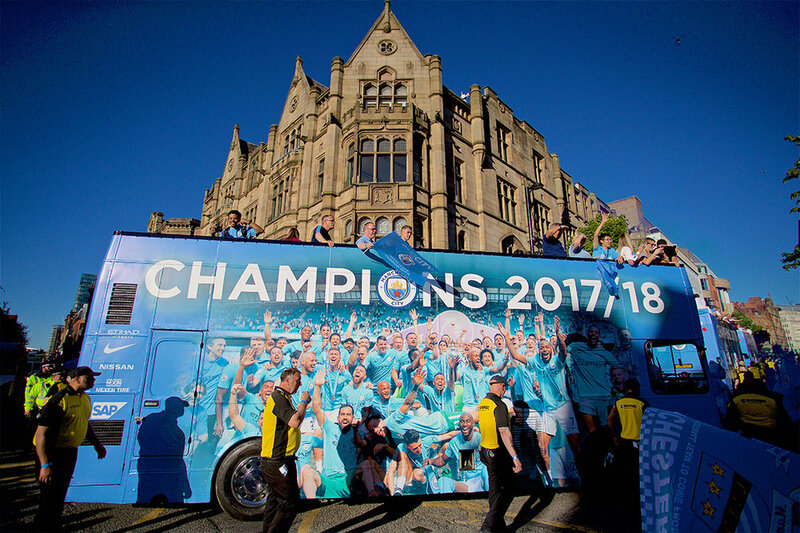 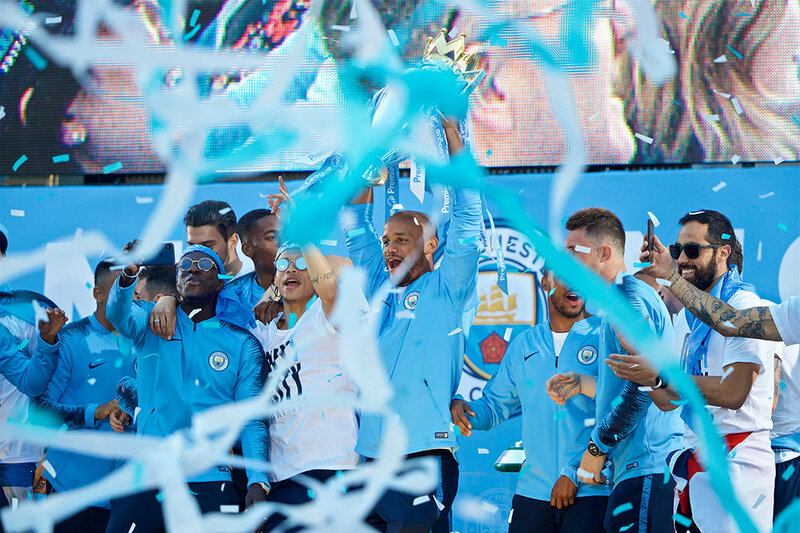 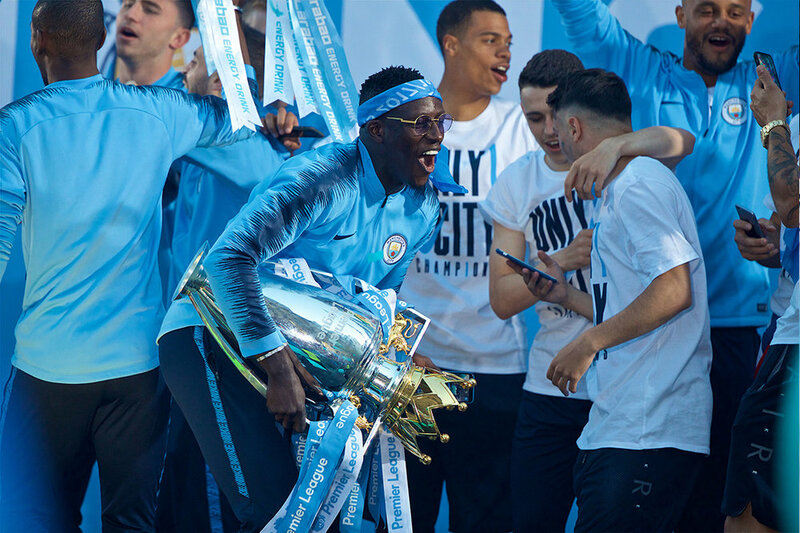 We were delighted to be asked to do a new parade for Man City - this time to celebrate their 2017/18 Premier League title. 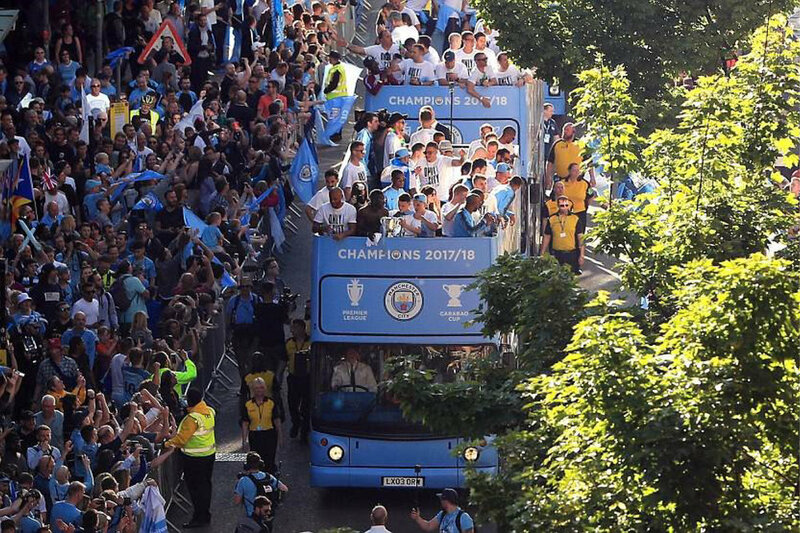 Three buses rode through Manchester, welcomed by hoards of gathered supporters, eagerly awaiting the buses carrying their idols. 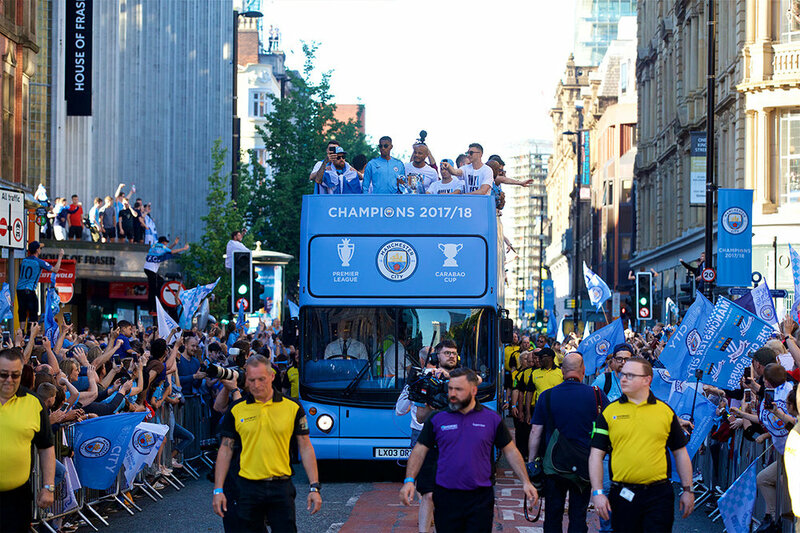 Parades are a speciality of ours, whether it be celebrating a Pride event or a sporting accomplishment - we are the champions!